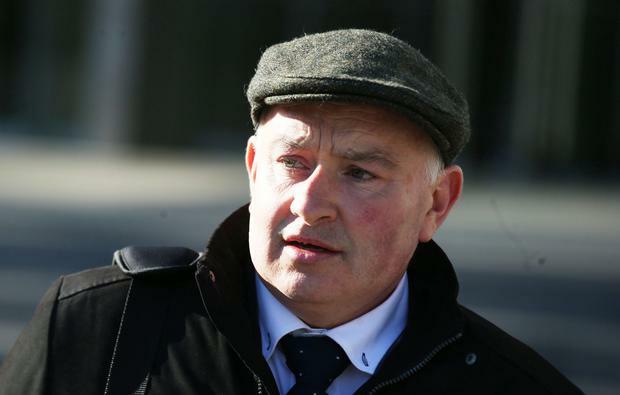 Patrick Quirke “hadn’t anything good to say about Bobby Ryan” and asked Mary Lowry’s brother to “talk sense” into her, the Tipperary murder trial heard. Eddie Quigley told the court he was the older brother of Ms Lowry and had always been close to her. He told Michael Bowman SC for the prosecution, that he was one of four children and grew up on a small farm in Newport, Co Tipperary. He was the second eldest child while Mary was the third. Mr Quigley works as a carpenter, and would do jobs around the house for her after she moved to Fawnagown with her husband Martin. Mr Quirke (50) from Breanshamore, Co Tipperary has pleaded not guilty to the murder of Bobby Ryan (52) a part time DJ known as Mr Moonlight on a date between June 3, 2011 and April, 2013. Mr Bowman put it to him that Martin Lowry had subsequently become ill and Mr Quigley replied he had a sore knee which they had put down to an old football injury. “But it was cancer, terminal eventually,” he told the court. Asked how Mary was after his death in 2007, he said she was “devastated, really”. “She found it very difficult to cope and get on with life,” he said. “She tried to get on with it,” he said, adding that her three children were very young. When Ms Lowry entered into a relationship with Bobby Ryan, Mr Quigley said he was happy for Mary she had met someone. As a couple they “got on very well together and seemed to enjoy each other’s company”, he said. Mr Bowman asked Mr Quigley whether around January or February 2011, he had a conversation with Mr Quirke regarding an involvement with the health board and Mr Quigley agreed he had. “I said somebody mustn’t have much to do to have reported Mary to the health board for leaving the kids alone because it isn’t true,” he told the court. They spoke about Bobby Ryan and Mr Quirke was not happy with Mr Ryan being involved with Mary, he said. “He hadn’t anything good to say about Bobby Ryan, playing music, out late at night, things like that,” he said. Mr Quirke had asked him to “talk sense” into Mary. “He felt she was doing the wrong thing being involved with Bobby Ryan. I said it was Mary’s own decision to do what she wants to do,” Mr Quigley said. In early 2011 he changed the locks on his sister’s front door at her request. On June 3, 2011 he recalled getting a call from his sister. He called later and said she was ‘visibly upset’ and he thought Bobby Ryan’s daughter was with her. He was told Bobby Ryan had gone missing and a search was taking place.